If you’re planning to learn English or gain a TEFL qualification in the US around Halloween, you’re in for some fun! 1. Halloween is HUGE in America. In fact, it’s the second most commercially successful holiday after Christmas. It is estimated that one quarter of all candy purchased in the US is for Halloween, and overall spending for the holiday usually totals over $5 billion USD! 2. Irish immigrants were the ones to bring the festival to America. 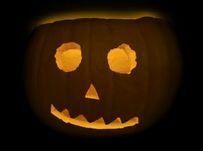 Anoka, Minnesota, is said to be the first city in America to have held official Halloween celebrations, in 1921, although Salem, Massachusetts, claims to be the “Halloween Capital of the World”. The town is best known for the notorious witch trials that occurred there in the 17th century. 3. The Village Halloween Parade in New York City is the largest celebration of its kind in the world and has been picked by Festivals International as “The Best Event in the World” for October 31st. The theme for 2014 is “The Garden of Earthly Delights”. Just don’t forget your costume or you won’t be allowed in the parade! 4. 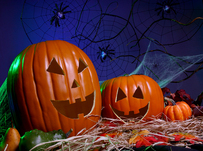 A popular tradition followed by American children on Halloween is to go trick-or-treating. 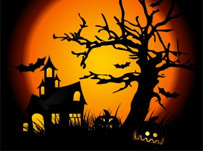 They dress up in fancy dress and go from house to house in their street asking “trick or treat?” According to tradition, children threaten the house owners with some sort of (harmless) mischief, unless they are given treats. It is believed that the tradition dates back to early Souls Day Parades in Europe, when poor citizens would beg for food and families would give them pastries called “soul cakes” in return for their promise to pray for the family’s dead relatives. 5. 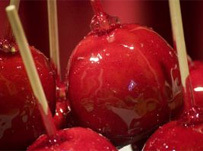 A ‘treat’ in America is generally some kind of sweet or chocolate – ‘candy’ as it’s known in America. 6. 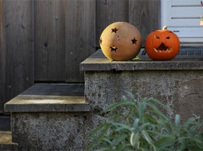 In America, the traditional pumpkin with a cut-out face is known as a ‘Jack O Lantern’. Traditionally, turnips were used in Europe, but immigrants to North America chose to use the native pumpkin, which was more readily available. 7. Halloween parties are usual for the 31s October and normally involve dressing up in costume too. 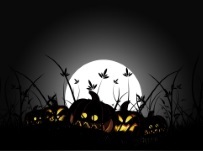 Normal fancy dress costumes are witches, wizards, black cats, ghosts, goblins, vampires and skeletons, which have all evolved into symbols of Halloween. 8. In larger cities, children in fancy dress and their parents gather at shopping malls early in the evening, when shops and businesses give parties with games and treats for the children. 9.”Trick-or-Treat for UNICEF” has become a common sight during Halloween in North America too. It began as a local event in a Philadelphia neighborhood in 1950 and expanded nationally a few years later. These days, corporate sponsors like Hallmark collect for charity donations at this time of year. 10. In America, it’s common to send Halloween cards, a practice which dates back to the early 1920’s. These days, over 28 million Halloween cards are sent each year. Cactus offers English courses in a range of destinations across the US and Canada. Please visit the Cactus Language website for full details. Edinburgh’s mass of dark buildings and cobbled streets make it the quintessential setting for a spot of gothic horror. The city’s long, and at times bloody, history means that it has formed the backdrop to many a grisly tale, which you can hear about either at the city’s famous Dungeons, or on one of the Auld Reekie Tours. One of the city’s most infamous, and shockingly, factual, stories is that of Burke and Hare, two Irish immigrants who coupled their menial day jobs with the more lucrative night-time activity of grave robbing and murder. Paris is another beautiful modern-day city, whose charming aesthetics make its bloody history easy to forget. The city’s most famous tour, The Paris Ghost Tour, covers the city’s catacombs and how they came to be, the satanic conspiracies of the 17th-19th centuries, the true Sweeney Todd of Paris and, last but by no means least, the Vampire of Paris – a real life cannibal and suspected serial killer. Prague is often hailed as the most haunted city in Europe, and it’s easy to see why. Prague’s ancient buildings and narrow streets conceal many a tale and mystery, including mass executions, murderous thieves, and gothic creatures. The Old Jewish Cemetery in Prague dates back to the 15th century and is one of the largest in Europe – because of the lack of space, though, the graves had to be put one on another, somewhere even in twelve layers. It is somewhere that is generally considered to be quite a peaceful place, but still not somewhere you’d necessary feel comfortable after dark! Cactus offers language and TEFL courses in exciting locations all over the world. Cactus offer a wide range of Italian Courses both in the UK and around the world.